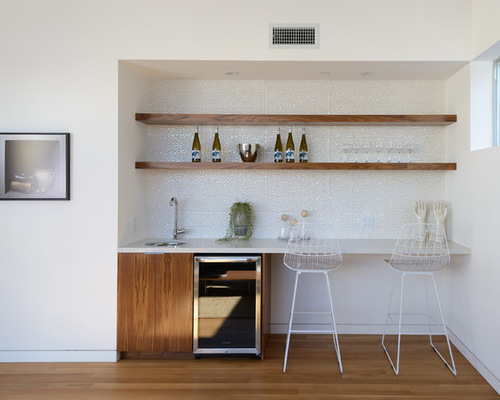 The floating counters matches with EA BlandCo Contemporary's counters. 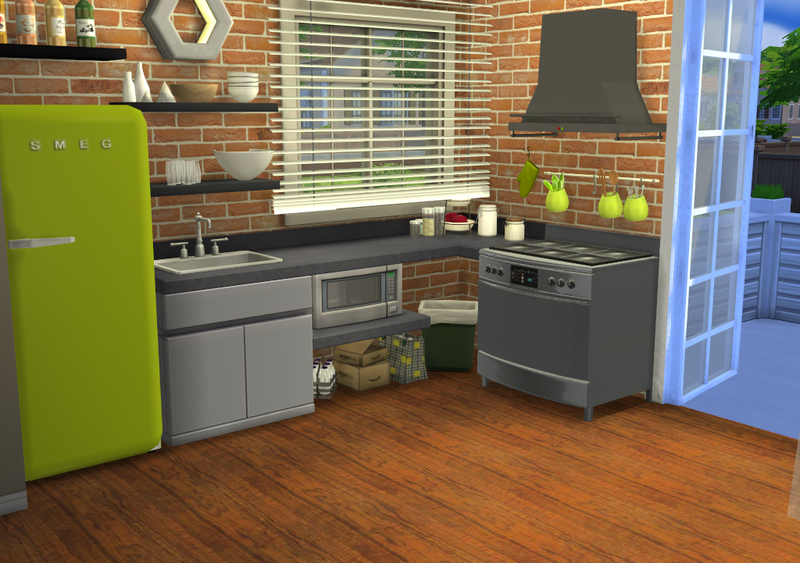 You can use objects below the floating counters as you see in the gif. 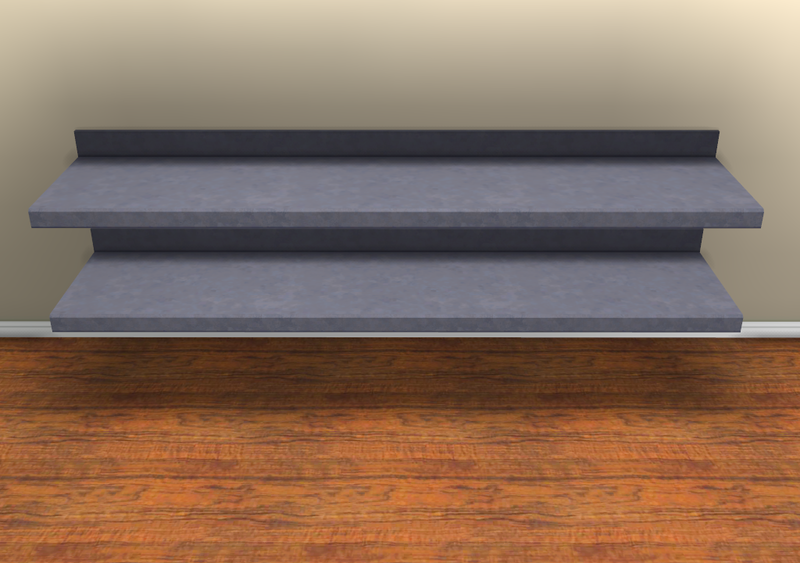 The floating counter island only works well against the wall. 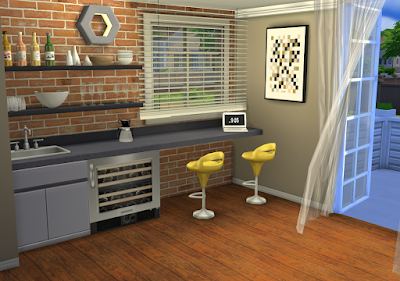 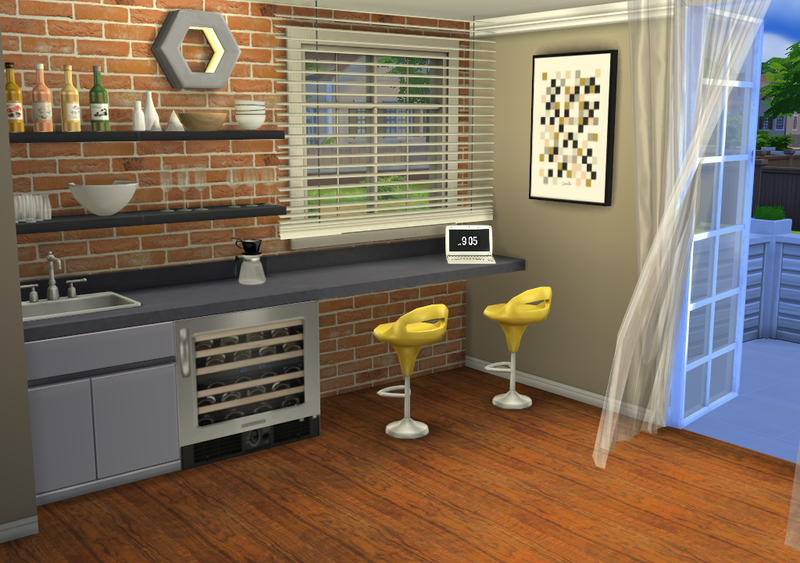 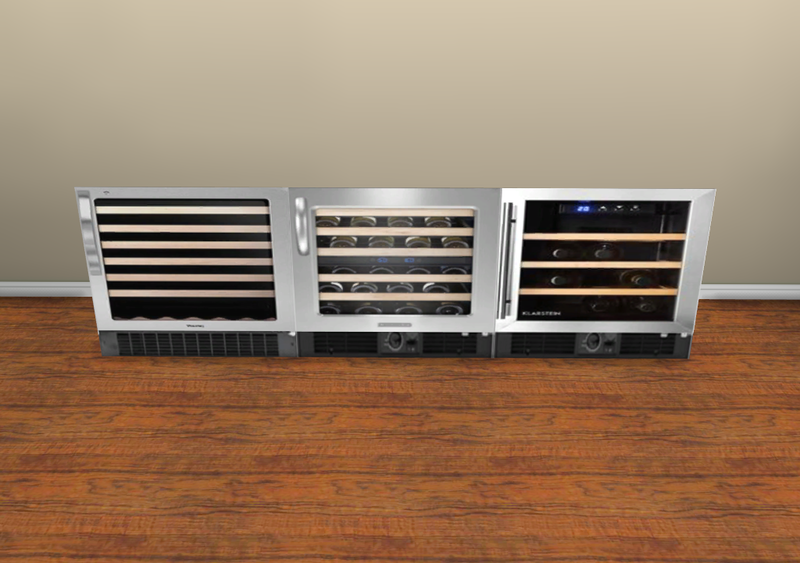 The Counter Wine Cellar is just a object decor, not functional.